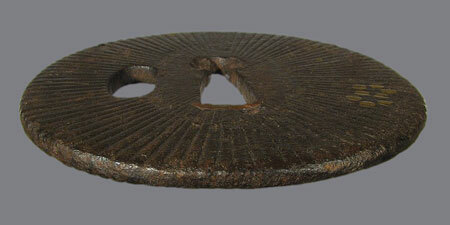 Iron tsuba, the surface is striated with lines, radiating out from the center - amida yasuri, symbol of Buddha's aura. 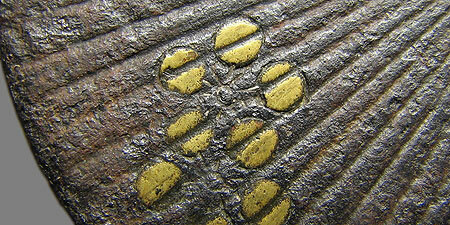 On the surface there are ume flowers, inlaid with brass, simillar to Maeda clan's mon. Also, on the three sides there are zigzag lines, symbolizing clouds. 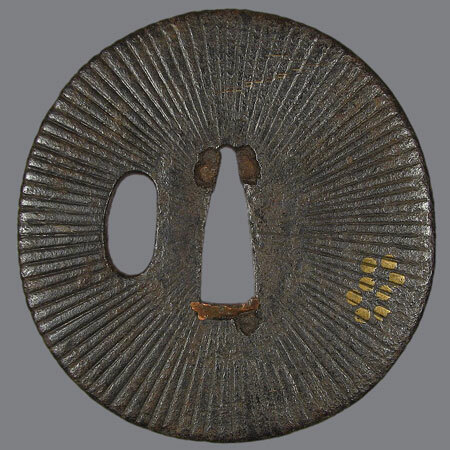 Probably this tsuba was made by a master of Onin school in Muromachi, about 1450. 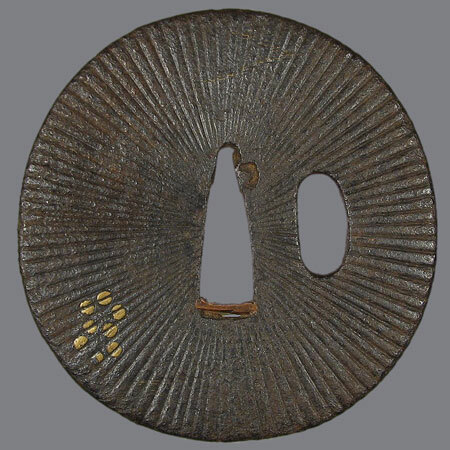 Besides, it's quite probably that the amida yasuri was made later, about 1550, when this decoration style has become fashionable. Iron, amida yasuri, hira zogan and sen zogan with brass. Nagamaru gata, maru mimi; 7,1 х 6,9 x 0,4 cm.